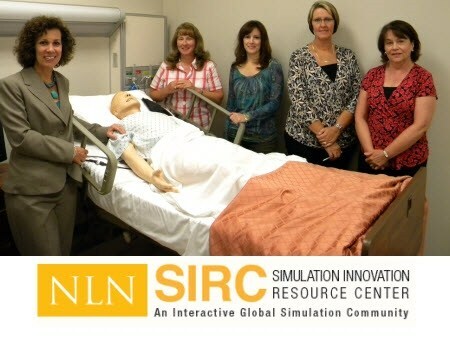 It has been nearly a decade since the National League for Nursing (NLN) and Dr. Pamela Jeffries published the first nursing simulation handbook Simulation in Nursing Education: From Conceptualization to Evaluation. Since that time, and even before, educators have been planning, implementing, and evaluating the use of simulation as a learning activity in nursing education programs at multiple levels. Early simulation methods were the basis for the 2005 article by Jeffries, "A Framework for Designing, Implementing, and Evaluating Simulations Used as Teaching Strategies in Nursing.” Incorporating many years of practice and research, the framework was recently revised by a team of experts and recognized as a mid-level theory, now titled "The NLN Jeffries Simulation Theory,” clearly demonstrating the acceptance and interest in moving forward with simulation in educational programs. The widespread adoption of simulation in nursing programs across the country has been examined and reported by the National Council of State Boards of Nursing (NCSBN) (Hayden, Smiley, Alexander, Kardong-Edgren,& Jeffries, 2014). The NCSBN conducted a national study which determined that the majority of pre-licensure nursing programs in the United States were using some level of simulation. This was followed by multi-site, longitudinal research that compared groups of nursing students from ten programs across the country who were taught using varying amounts of simulation, and followed the participants through their first year in practice. The study provided evidence that simulation could be used to replace up to 50% of clinical hours in nursing education programs. This course will examine the basic pedagogy supporting simulation in nursing education. Participants will learn what simulation has to offer their learners, recognize what it does better than other teaching methods, and learn how it supports other teaching strategies. The results of the NCSBN study will be introduced, along with resources for faculty who want to use evidence-based techniques. As they progress through this introductory course, participants will also be able to assess their own learning needs regarding simulation, and create a plan for their future faculty development. 1. Define simulation in reference to healthcare. 2. Explore evidence of the effectiveness of simulation. 3. Introduce standards for simulation. 4. Examine the NLN Jeffries Simulation Theory. Mary L. Cato, EdD, RN, is an Assistant Professor and lead simulation faculty in the Oregon Health & Science University School of Nursing. Mary has been teaching with simulation for over ten years, and during that time has integrated simulation into all clinical courses in the School of Nursing undergraduate curriculum. Dr. Cato was one of the original SIRC authors, and has worked with the NLN on other projects including the ACES program and the revision of the NLN/Jeffries Simulation Framework into the NLN Jeffries Simulation Theory. Her doctoral research focused on anxiety and its effect on learning in simulation.